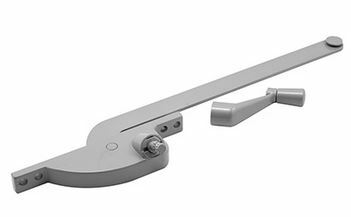 CASEMENT WINDOW HARDWARE OPERATORS from Blaine Window Hardware. SINGLE ARM OPERATORS, DUAL ARM OPERATORS, ENTRYGARD OPERATORS. All sizes and styles of housing and buttons. MOST POPULAR CASEMENT OPERATORS available. TRUTH WINDOW OPERATORS. Other manufacturers. More than 40,000 parts. On site custom manufacturing, research department. 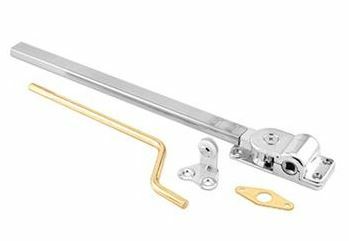 FREE catalog from Blaine Window Hardware.